Dr. Castellanos is Hispanic and Harvard trained physician. He subsequently trained at UC San Diego and UC Davis and is currently assistant clinical professor of internal medicine at UC San Diego. He enjoys helping patients improve their cardiovascular health by applying evidence-based strategies, state-of-the-art technology and pharmacotherapy to target coronary disease, hypertension, hyperlipidemia and other cardiac disease. He is a strong believer that in order to improve one's health, it takes a strong and honest partnership between the doctor and patient and a willingness to make lifestyle changes. 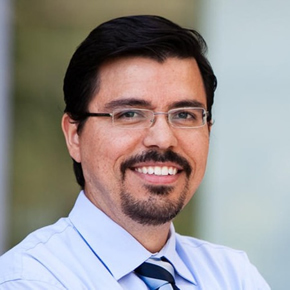 Dr. Castellanos has an interest in health outcomes research and Minority Health Policy. He studies how to effectively utilize existing health systems to monitor and develop strategies to eliminate racial and ethnic disparities in cardiovascular care. Dr. Castellanos is well trained in wide range of cardiac services, including diagnostic cardiac catheterization, trans-esophageal echocardiography and stress testing. He is Board Certified in Internal Medicine, Cardiology and Echocardiography.